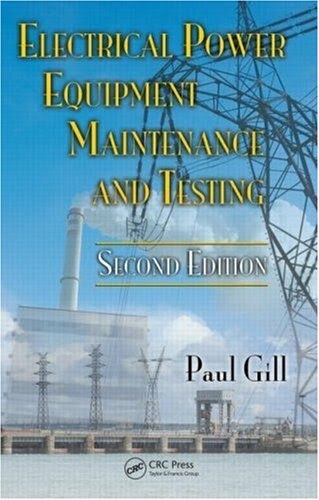 Electrical Power Equipment Maintenance and Testing 2nd Edition is a definitive text that covers all aspects of testing and maintenance of the equipment found in electrical power systems serving industrial, commercial, utility substations, and generating plants. It addresses practical aspects of routing testing and maintenance and presents both the methodologies and engineering basics needed to carry out these tasks. It is an essential reference for engineers and technicians responsible for the operation, maintenance, and testing of power system equipment. Comprehensive coverage includes dielectric theory, dissolved gas analysis, cable fault locating, ground resistance measurements, and power factor, dissipation factor, DC, breaker, and relay testing methods. This practical guide provides comprehensive and up-to-date information on the testing and maintenance of electrical power systems equipment and apparatus found in utility, industrial, commercial, and institutional facilities;demonstrating when and how to perform the appropriate tests to ensure maximum operational reliability. Integrating basic principles, theory, and practice, Electrical Power Equipment Maintenance and Testing discusses routine (field) and preoperational (acceptance) testing and maintenance procedures for assessing equipment reliability and dependability shows how to inspect and test equipment and apparatus insulation integrity and other operating characteristics.